Seattle-ites are known to flock to the outdoors whenever the sun shines, and today was one of those days. Though I moved from Mukilteo (near Seattle) last August, I returned to the beautiful beach tonight to enjoy the sunset. The beach was filled with activity – families and friends huddling around campfires, people walking their dogs, parents tossing pebbles into the water with their children, and photographers snapping photos of the gorgeous view. 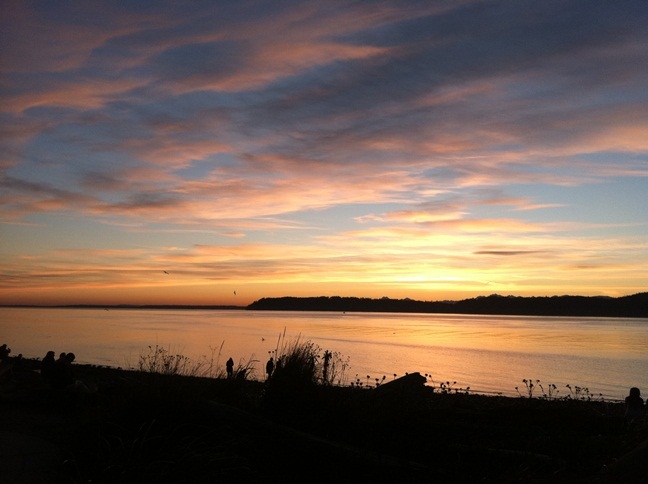 Mukilteo is one of the most beautiful places in the world.